The tagline for the latest action thriller from Dominic Sena (Swordfish) is “see your last breath,” and while that is supposed to cue audiences into the visceral sensation of mystery and adventure with a hint of danger in Antarctica, nothing in the movie’s chilly execution comes close to approximating a white-knuckle experience. 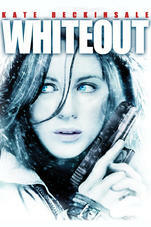 Carrie Stetko (Kate Beckinsale) is a U.S Marshall serving a self-imposed exile in the great white land of snow and ice after failing to trust her instincts in a case that resulted in the death of her partner in Miami. Of course, she’s the tough cookie out to prove herself to all of the boys, and once again she’s going to be tested when a killer begins picking off various workers at the research facility just before the region plunges into several months of complete isolation.